Make a Payment - Wolfsohn Accounting and Advisory Services, Inc.Wolfsohn Accounting and Advisory Services, Inc.
We offer three ways to pay your invoice. To pay by credit card or check using our secure, online payment system, please click below. You will need your Client ID and Invoice Number that appear on the right side of the payment portion at the bottom of your invoice. Please note: Effective November 1, 2018 all Credit Card payments will be assessed a 3.5% surcharge of the payment amount. The fee does not apply to Debit Card or ACH payments. The fee will be added to the payment receipt. 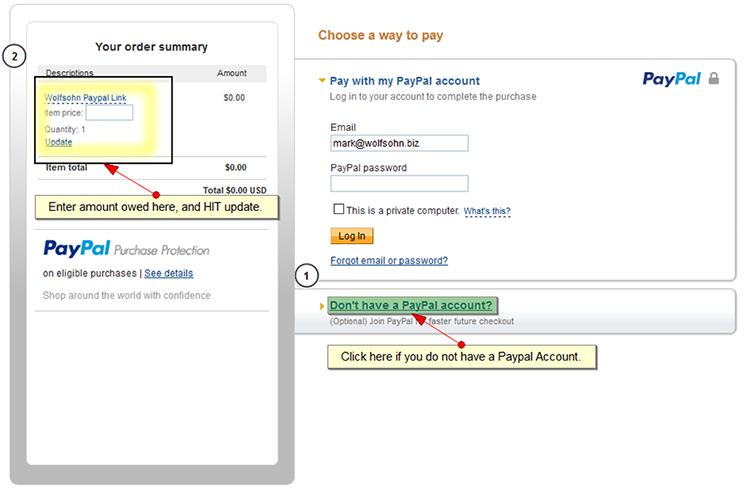 To pay using your PayPal Account, please select the option below. If you have difficulty, please follow the directions below.